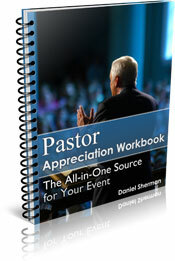 Pastor appreciation is a vital part of a church's successful ministry. "1,500 pastors leave their assignments every month in the United States because of conflict, burnout, or moral failure," according to an article by Ken Sande of Peacemaker Ministries. There are, of course, many reasons why a pastor's ministry might be long or short. But the congregation that doesn't say, "Thank you," in practical ways will almost guarantee limited success. But don't wait until the official pastor appreciation month to show your gratitude. Any time is the right time for a pastor appreciation poem in a card or included in your Pastor Appreciation Bulletins . You could use this sample clergy appreciation sermon if you've been asked to preach. Or use a clergy appreciation scripture passage for a Sunday School lesson or a bible study. Surprise minister appreciation skits or minister appreciation songs on Sunday morning can also encourage a pastor. And speaking of encouraging your pastor, try these 52 ideas. Personal greeting cards can also be encouraging. Are you looking for something fun and funny? Try a pastor roast. Use your imagination and your knowledge of who your pastor is and what he likes. Try some of our suggested pastor appreciation ideas. But don't forget, prayer is the best way to show appreciation. Use these pastor prayer requests to help get you started. Pastor gifts are often nice as well. Simple things mean as much as more expensive expressions...though I never argued when someone gave me a golf course gift certificate! Or collect a financial gift with these Pastor Appreciation Offering Envelopes. And while you're here, write a pastor tribute and brag about your pastor! ...and if she likes golf...oh yea, that's me. And if you're planning a pastor appreciation event, it might be helpful to use the free event planning checklist from free FreeChurchForms.com. Why is clergy appreciation so important? Because a pastor that is appreciated by the majority in his congregation is a pastor that can press forward confidently knowing that his people are with him. A loved pastor...no...a pastor who knows he is loved...is constantly encouraged...filled with excitement, optimism, and courage. 1) Because he knows that he can fail and still be loved. Leadership in any organization...especially a church...requires risk. Pastors risk being emotionally hurt when they open up to you and love you unconditionally. Pastors risk being disliked if they make an unpopular decision. Pastors risk their future career, ministry, and finances by taking stands against sin. Pastors risk criticism for nearly every choice they make, every sermon they preach, every person they love. But pastor appreciation encourages him to press on, to make the tough decisions, to risk loving people who might criticize him in return. 2) Because he knows that he is not carrying the burdens of ministry alone. When I asked my church leaders for help during a difficult period in one ministry, they genuinely wanted to support me. But they asked for a list of things they could do so that I wouldn't have to do them. But most pastors don't mind having a full "to do" list. Being too busy is not usually the issue. What pastors need most is people who will partner with them, have a vision for the ministry of the church, and roll up their sleeves and get involved in the real (and sometimes messy) ministry of encouraging, discipling, leading, and teaching. 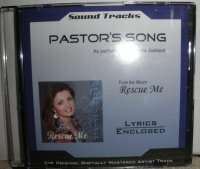 and because your pastor needs and deserves it! But I don't need to tell you this. You chose to visit this pastor appreciation site...you do appreciate him (or her)! You're the kind of person that your pastor needs...the kind of person every pastor hopes for! So please use the resources on this site to show your pastor appreciation! Once a month (or so) I send out an email newsletter (ezine) called, "My-Pastor Minute." Each issue includes a practical way you can show your pastor appreciation, a unique pastor gift idea, a brief thought or article about pastors and their families, and an update on what's new at www.My-Pastor.com. If you would like to receive this ezine, please fill out the form below. I will never let anyone else use your name or email address, nor will I use your information for anything other than to send you My-Pastor Minute twice a month.